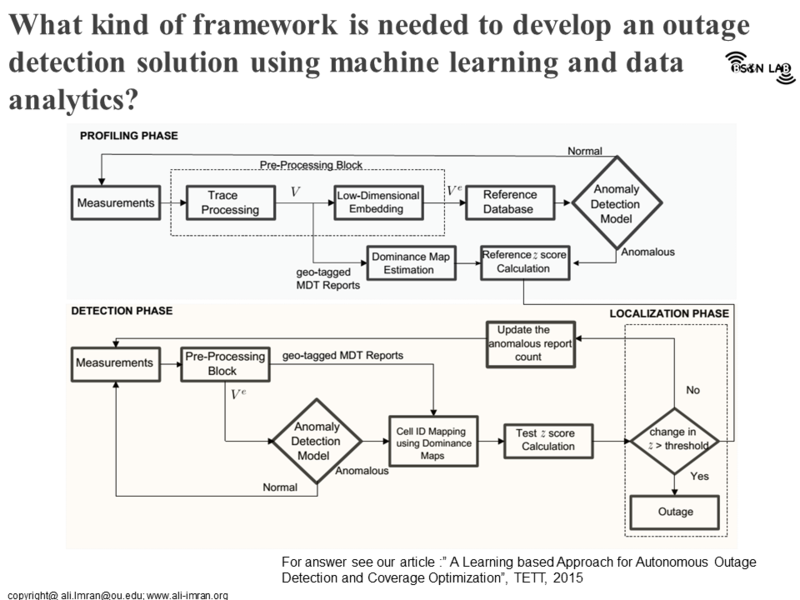 Data and machine learning driven analysis for designing, optimizing and introducing intelligence in complex, networked and dynamic systems such as mobile networks (5G, 6G), IoT, smart grids, UAV based autonomous systems and self-organizing networks (SON). Leveraging AI and Big Data for revolutionizing healthcare. Over the years our research on above two themes have been funded by numerous grants from federal and international funding agencies as well as private sector totaling over $4 million. Our research tackles real world problems faced by ICT industry and is supported by a number of key players in the industry to transition our research output to practice. AI4Networks Lab center is home to TurboRAN. 05/13/18: Congratulations to Ahmad Asghar and Hasan Farooq for acceptance of their paper “Concurrent Optimization of Coverage, Capacity and Load Balance in HetNets through Soft and Hard Cell Association Parameters” in IEEE Transactions on Vehicular Technology. 04/27/18: Congratulations to Azar Taufique for successfully defending his PhD thesis. 04/04/18: Congratulations to Azar Taufique and Hasan Farooq for acceptance of their paper "Analytical Modelling for Mobility Signalling in Ultra-Dense HetNets" in IEEE Transactions on Vehicular Technology. 03/18/18: Congratulations to Ahmad Asghar and Hasan Farooq for acceptance of their paper "Self-Healing in Emerging Cellular Networks: Review, Challenges and Research Directions" in IEEE Communication Surveys and Tutorials. 10/03: Hasan Farooq's research work, AURORA Framework that builds on big data empowered proactive approach to maximize the energy efficiency in emerging ultra-dense networks, was selected as winning idea of the IEEE Young Professional Green ICT Idea Competition 2017. He received the award at IEEE Greening through ICT Summit held in Paris, France on 3rd October 2017. 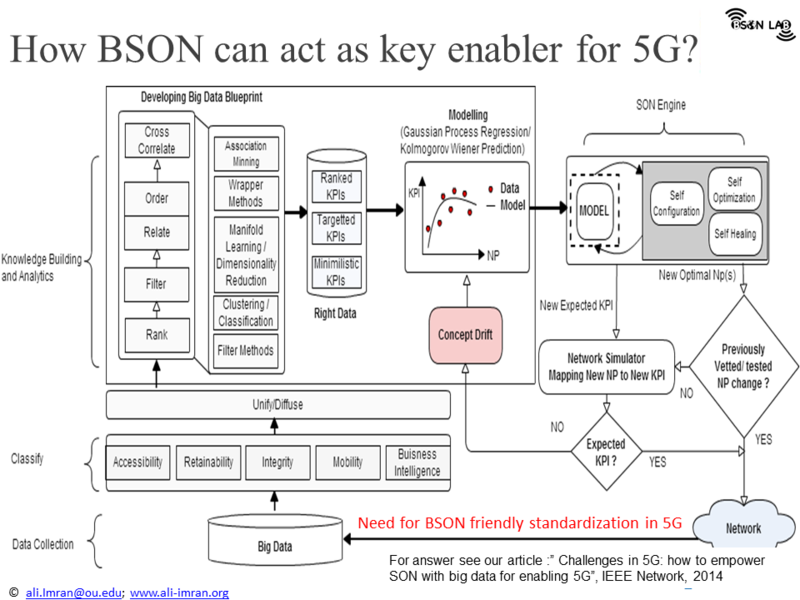 08/07: BSON labs receives $5,00,000 award from NSF on proactive mobility management in future multi-tier, multi-band ultra dense wireless networks. 08/07: Congratulations to Sinasi and Umair for acceptance of their paper in IEEE PIMRC 2017. 08/07: Dr. Imran to present a tutorial titled “LEAP for IoT” at IEEE PIMRC 2017 being held in Toronto. 08/07: BSON lab receives $10,00,000 award from NSF for developing TurboRAN. 07/27: BSONLab is home to TurboRAN. 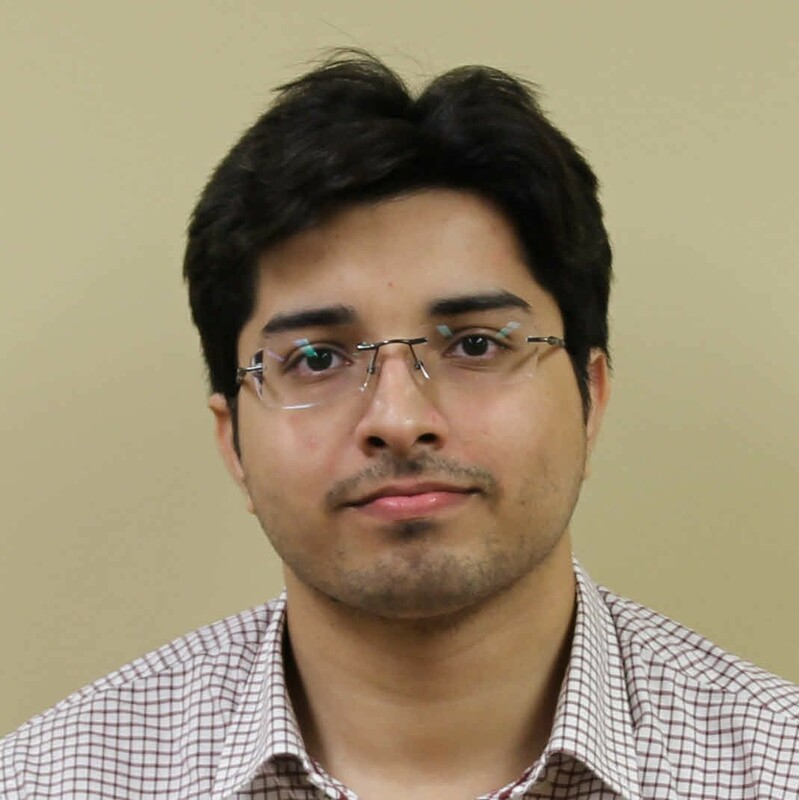 07/20: Congratulations to Arsalan Darbandi, for successfully defending his MS thesis. 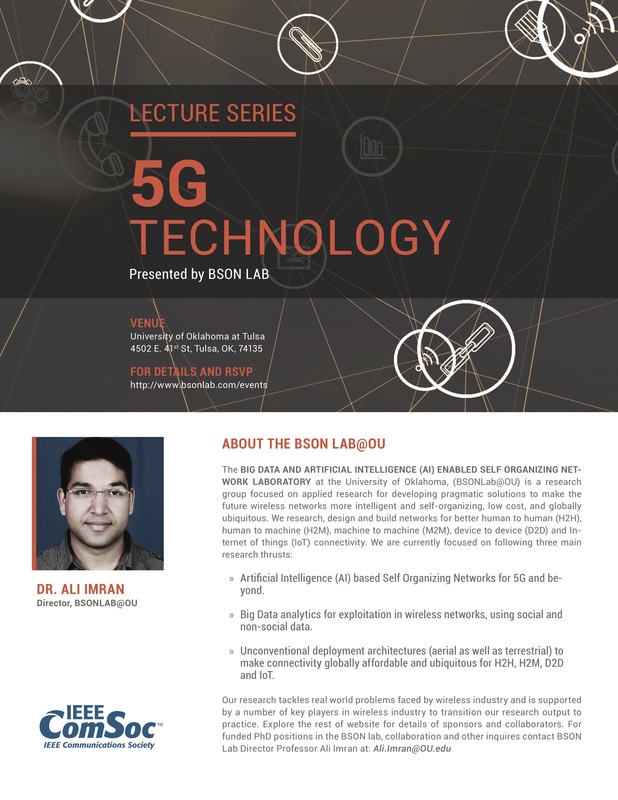 06/17: Join us at OU-Tulsa Campus for an inspiring 5G Technology Lecture Series brought to you by BSONLab@OU. 06/06: Congratulations to Hasan Farooq for securing internship at Phazor. 05/05: Congratulations to Umair Hashmi for securing second internship at AT&T Big Data Foundry, Dallas. 04/17: Prof. Imran to conduct a workshop titled "LEAP for IoT - Lean, Elastic, Agile and Proactive (LEAP) SON Enabled 5G Wireless Networks", at the International Conference on Communication Technologies(ComTech-2017), Pakistan, 19-21 April, 2017. 04/17: Prof. Imran to deliver a Keynote titled "Big Data Empowered Self Organizing Networks, the game changing paradigm for enabling 5G", at the International Conference on Communications Technologies (ComTech-2017), Pakistan, 19-21 April, 2017. 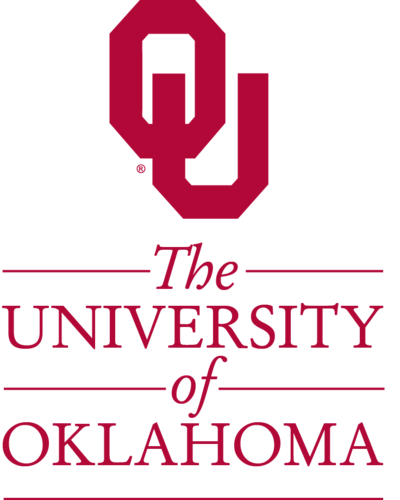 04/17: BSON Lab student obtains first prize in the best oral presentation and the best video presentation at University of Oklahoma annual Graduate student Research and Creativity Day 2017. 02/16: Prof. Imran to present a tutorial titled “LEAP for IoT - Lean, Elastic, Agile and Proactive (LEAP) Wireless Networks for Enabling the Future IoT”, at 2017 IEEE ICC, Paris, 21-25 May, 2017. 01/17: BSON team members Umair and Arsalan presented a paper titled “Enabling Proactive Self-Healing by Data Mining Network Failure Logs” at ICNC 2017. 12/16: Sachin Daware successfully defended his MS thesis titled “Big Data Analytics solution for Small Cell Deployment Using Machine Learning Techniques”. 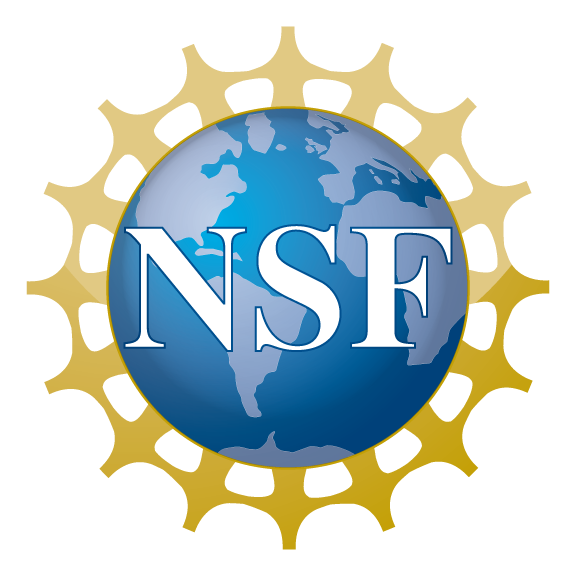 07/16: New research support of $500K for project titled “Designing Agile and Scalable Self-Healing Functionalities for Ultra Dense Future Cellular Networks” by National Science Foundation. 07/16: Four under grad and High School students joined the group as internees, as part of STEM outreach program at BSON Lab. Copyright Disclaimer: Personal use of the downloadable material provided on this page is permitted. However, permission to reprint/republish this material for advertising or promotional purposes or for creating new collective works for resale or redistribution to servers or lists, or to reuse any copyrighted component of this work in other works must be obtained from the pertinent copyright holder. For latest publications please see: Google Scholar Profile. 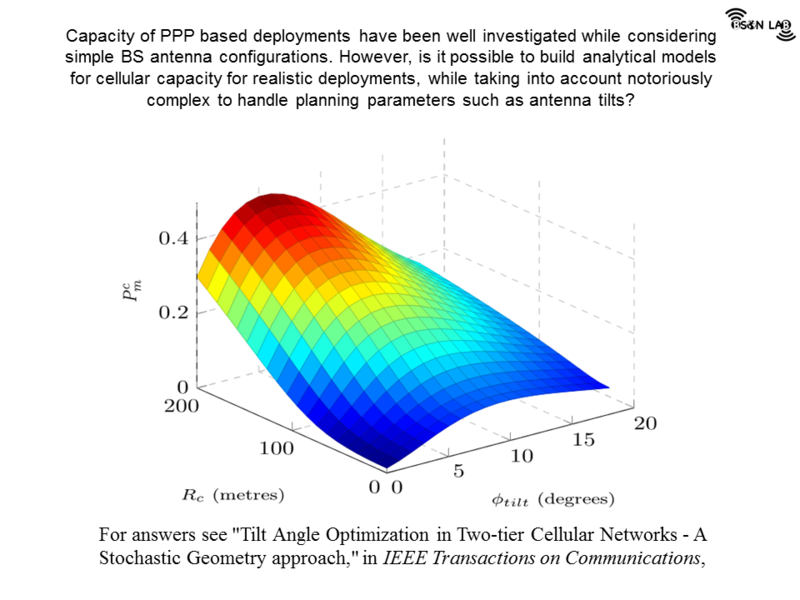 Ali Imran, Adnan Abu-Dayya, “METHODS OF OPTIMIZING TILT ANGLE OF AN ANTENNA”, PCT/IB2013/058807. Lorenza Giupponi, Ali Imran, “Self Organizing ICIC for SCN”, in book titled ‘Design and Deployment of Small Cell networks”, Cambridge, 2015. Haneya Naeem Qureshi, Ali Imran “Towards Realistic Modeling of Drone-based Cellular Network Coverage”, a book chapter in book titled ‘Enabling 5G Communication System to Support Vertical Industries”, in press for publication by Wiley, Dec, 2018. Hasan Farooq, Md. Salik Parwez, Ali Imran, “Continuous-Time Markov Chain-Based Reliability Analysis for Future Cellular Networks”, a book chapter in book titled ‘Big Data Applications in Telecommunications Industry”, IGI Publisher, Feb, 2017. ISBN: 9781522517504. 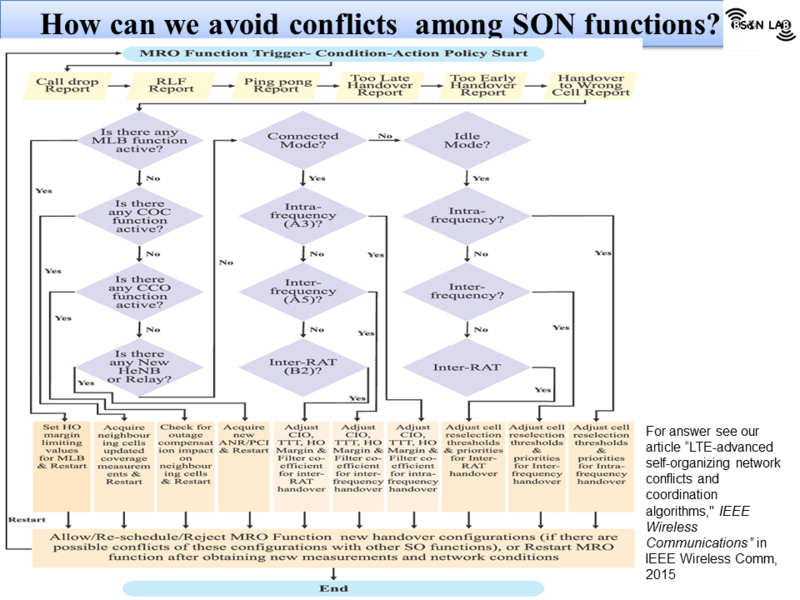 (based on a Globecom 2015 paper). Md. Salik Parwez, Hasan Farooq, Ali Imran, “Spectral Efficiency Self-Optimization through Dynamic User Clustering and Beam Steering”, a book chapter in book titled ‘Big Data Applications in Telecommunications Industry.”, IGI Publisher, Feb, 2017. ISBN: 9781522517504 (based on a Globecom 2015 paper). H. Farooq, A. Asghar and A. Imran, “Mobility Prediction based Autonomous Proactive Energy Saving (AURORA) Framework for Emerging Ultra-Dense Networks”, IEEE Transactions on Green Communciations and Networking, 2018. 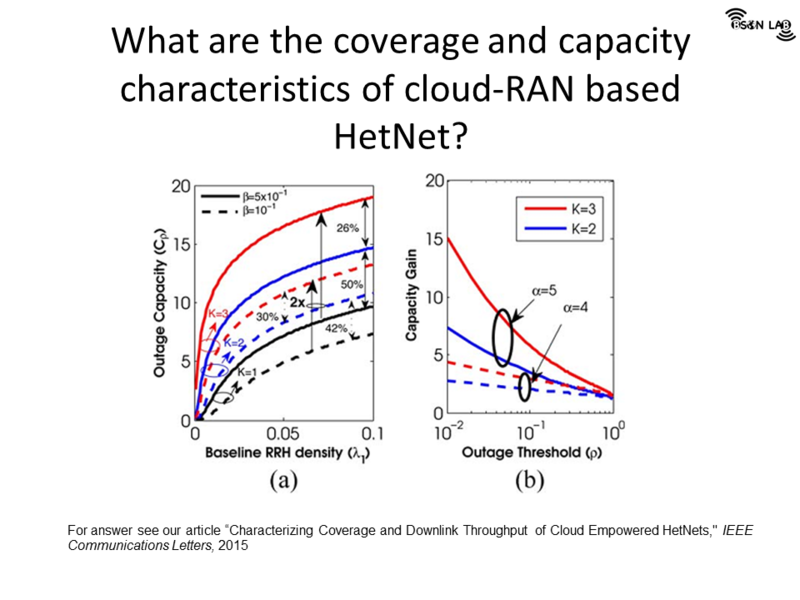 A. Asghar, H. Farooq, and A. Imran, “Concurrent Optimization of Coverage, Capacity and Load Balance in HetNets through Soft and Hard Cell Association Parameters”, IEEE Transactions on Vehicular Technology, 2018. Azar Taufique, Abdelrahim Mohamed, Hasan Farooq, Ali Imran and Rahim Tafazolli, “Analytical Modelling for Mobility Signalling in Ultra-Dense HetNets”, IEEE Transactions on Vehicular Technology, 2018. A. Asghar, H. Farooq, and A. Imran, “Self-Healing in Emerging Cellular Networks: Review, Challenges and Research Directions”, IEEE Communications Surveys Tutorials, 2018. 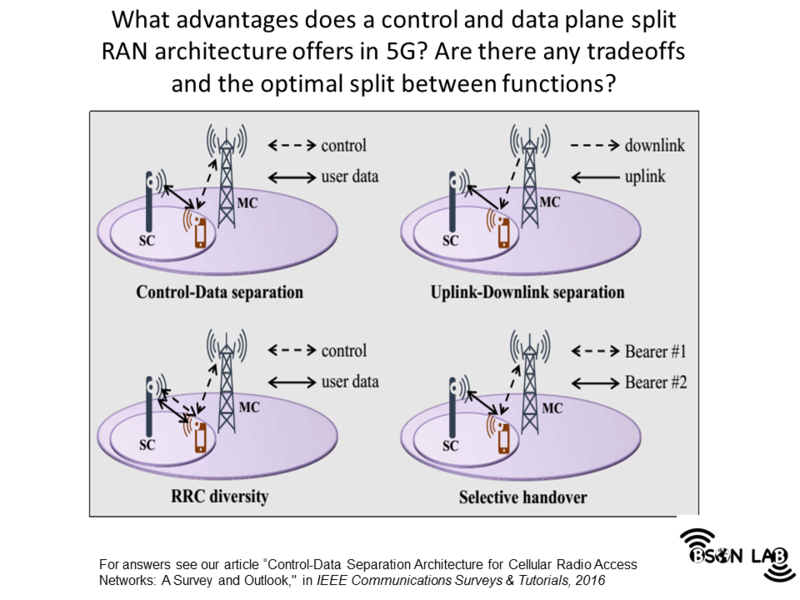 U. S. Hashmi, S. A. R. Zaidi and A. Imran, “User-Centric Cloud RAN: An Analytical framework for Optimizing Area Spectral and Energy Efficiency”, IEEE Access Special Section on Modelling, Analysis, and Design of 5G Ultra-Dense Networks, 2018. A. Zoha, A. Saeed, H. Farooq, A. Rizwan, A. Imran and M. A. Imran, “Leveraging Intelligence from Network CDR Data for Interference aware Energy Consumption Minimization”, IEEE Transactions on Mobile Computing (Accepted for Publication), 2017. 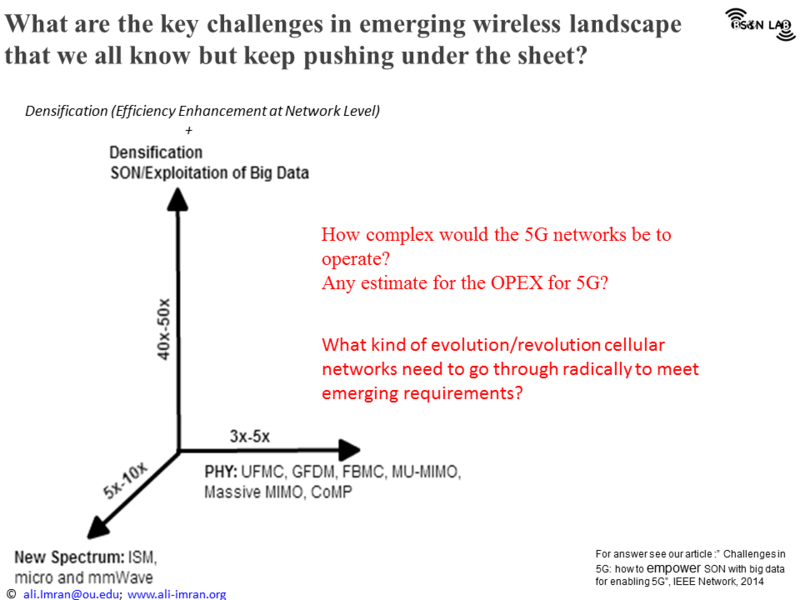 A. Taufique, M. Jaber, A. Imran, Z. Dawy, E. Yaacoub, "Planning Wireless Cellular Networks of Future: Outlook, Challenges and Opportunities" in IEEE Access, Vol. 5, pp. 4821-4845, 2017. 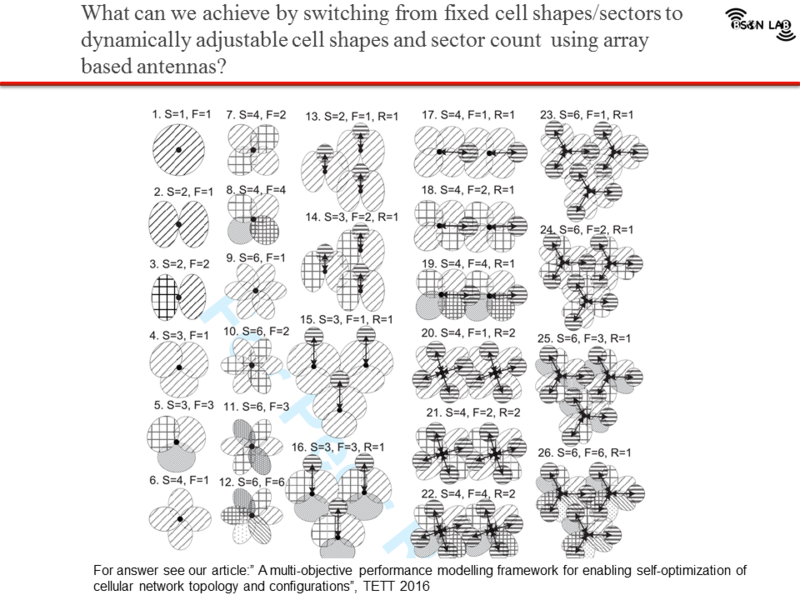 H. Farooq and A. Imran, "Spatiotemporal Mobility Prediction in Proactive Self-Organizing Cellular Networks," in IEEE Communications Letters, vol. 21, no. 2, pp. 370-373, Feb. 2017. S. Bassoy; H. Farooq; M. A. Imran; A. Imran, "Coordinated Multi-Point Clustering Schemes: A Survey," in IEEE Communications Surveys & Tutorials , vol.PP, no.99, pp.1-1, 2017. Onireti, Oluwakayode; Imran, Ali; Imran, Muhammad Ali; Tafazolli, Rahim, “Coverage, Capacity and Energy Efficiency Analysis in the Uplink of mmWave Cellular Networks”, accepted in IEEE Transactions on Vehicular Technologies. Mohamed, A.; Onireti, O.; Imran, M.; Imrany, A.; Tafazolli, R., “Predictive and Core-network Transparent Handover in Cellular Networks with Control/Data Separation”, accepted in IEEE Transactions on Wireless Communications. Mohamed, A.; Onireti, O.; Imran, M.A. 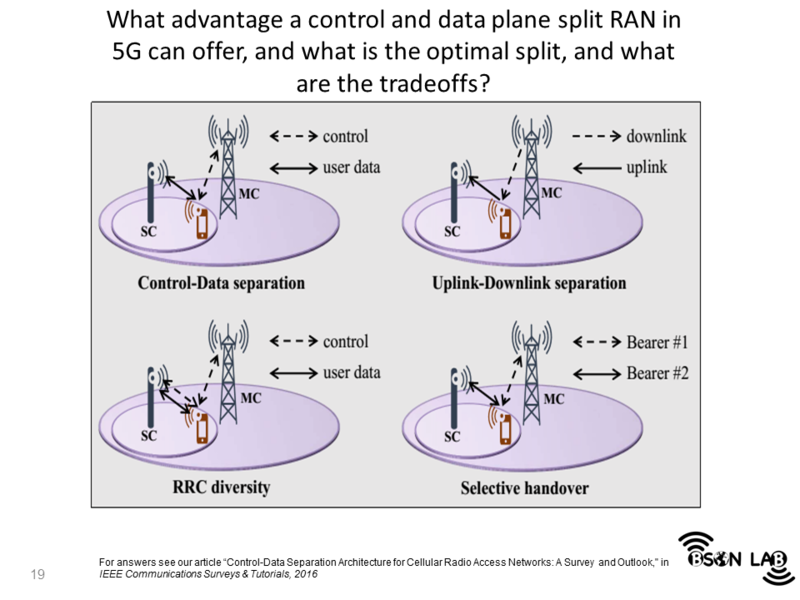 ; Imran, A.; Tafazolli, R., "Control-Data Separation Architecture for Cellular Radio Access Networks: A Survey and Outlook," in IEEE Communications Surveys & Tutorials, vol.18, no.1, pp.446-465, First quarter 2016 doi: 10.1109/COMST.2015.2451514 . Hasan Farooq, Ali Imran, Mona Jaber, "AI empowered Smart User Association in LTE Relays HetNets", accepted in IEEE ICC 2019 First International Workshop on Data Driven Intelligence for Networks and Systems (DDINS). 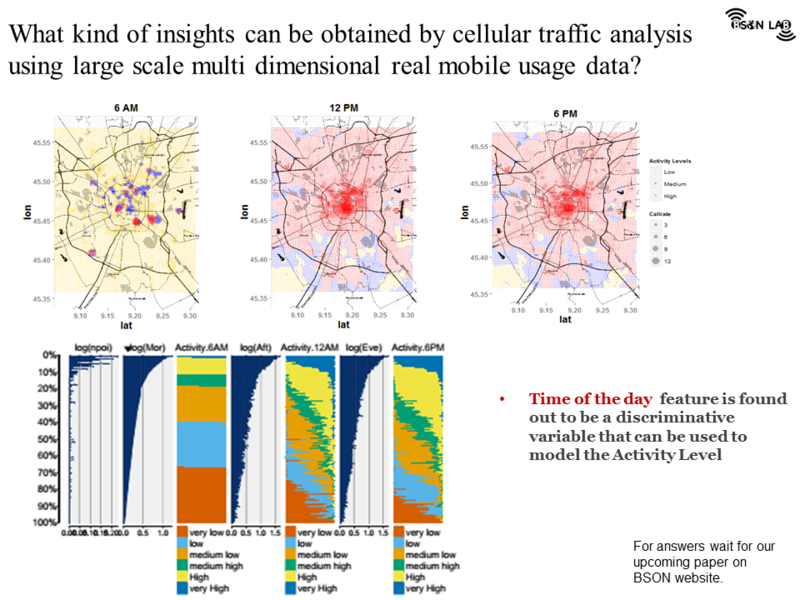 Hana Gebre, Hasan Farooq, Ali Imran, "What Machine Learning Predictor Performs Best for Mobility Prediction in Cellular Networks? ", accepted in IEEE ICC 2019 First International Workshop on Data Driven Intelligence for Networks and Systems (DDINS). Ahmad Asghar, Hasan Farooq, Ali Imran, "Outage Detection for Millimeter Wave Ultra-Dense HetNets in High Fading Environments", accepted in IEEE ICC 2019. Ali Hayajneh, Syed Zaidi, Des McLernon, Moe Win, Ali Imran, Mounir Ghogho, "Optimal Coverage and Rate in Downlink Cellular Networks: A SIR Meta-Distribution Based Approach", in Proc. IEEE Global Communications Conference (Globecom 2018), Abu Dhabi, United Arab Emirates, Dec. 2018. M. N. Rafiq, H. Farooq, A. Zoha and A. Imran, "Can Temperature Be Used as a Predictor of Data Traffic: A Real Network Big Data Analysis", in Proc. 5th IEEE/ACM International Conference on Big Data Computing, Applications and Technologies (BDCAT), Zurich, 2018. Ben Hughes, Shruti Bothe, Hasan Farooq and A. Imran, "Generative Adversarial Learning for Machine Learning empowered Self Organizing 5G Networks", in 2019 IEEE International Conference on Computing, Networking and Communications (ICNC 2019), Hawaii, Feb. 2019. U. Masood, A. Asghar, A. Imran, and A. N. Mian, "Deep learning based detection of sleeping cells in next generation cellular networks", in 2018 IEEE Global Communications Conference: Communication QoS, Reliability and Modeling (Globecom2018 CQRM), Abu Dhabi, United Arab Emirates, Dec. 2018. H. Farooq, A. Asghar and A. Imran, "Mobility Prediction empowered Proactive Energy Saving Framework for 5G Ultra-Dense HetNets", IEEE Global Communications Conference: Green Communications Systems and Networks (Globecom 2018 GCSN), Abu Dhabi, United Arab Emirates, Dec. 2018. Haneya Naeem Qureshi and Ali Imran, "Towards Designing Systems with Large Number of Antennas for Range Extension in Ground-to-Air Communications", accepted in IEEE International Symposium on Personal, Indoor and Mobile Radio Communications (PIMRC), 2018, Bologna, Italy. U. Hashmi, A. Islam, K. M. Nasr, and A. Imran, "Towards user QoE-Centric elastic cellular networks: A game theoretic framework for optimizing throughput and energy efficiency", accepted in IEEE International Symposium on Personal, Indoor and Mobile Radio Communications (PIMRC), 2018, Bologna, Italy. U. Farooq, U. Hashmi, J. Qadir, A. Imran, and A. N. Mian, "User transmit power minimization through uplink resource allocation and user association in HetNets", IEEE Global Communications Conference: Green Communications Systems and Networks (Globecom 2018 GCSN), Abu Dhabi, United Arab Emirates, Dec. 2018. 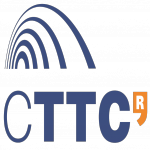 U. S. Hashmi, S. A. R. Zaidi, A. Darbandi and A. Imran, "On the Efficiency tradeoffs in User-Centric Cloud RAN", accepted in IEEE International Conference on Communications (ICC) 2018 to be held at Kansas City, MO, USA from 20-24 May 2018. 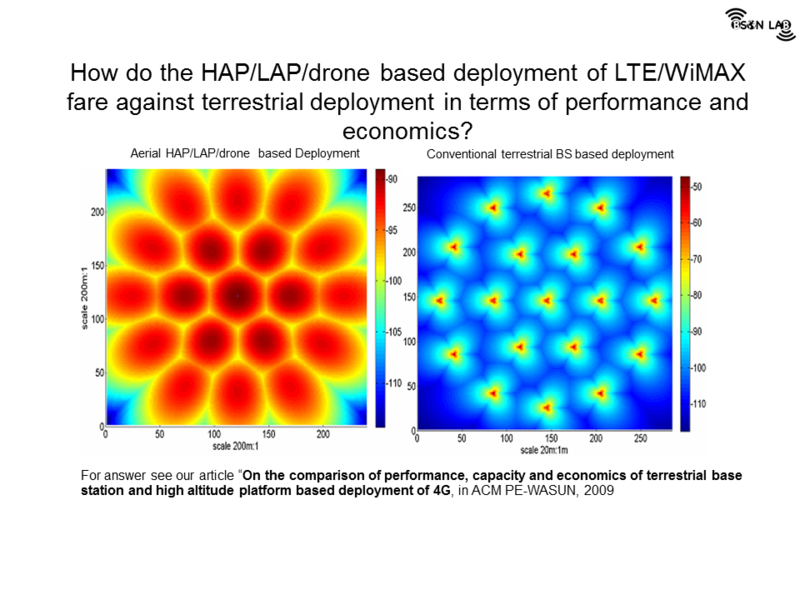 S. Cetinkaya, U. Hashmi, A. Imran, "What User-Cell Association Algorithms will work best in mmWave Massive MIMO Ultra-Dense HetNets? ", accepted in IEEE International Symposium on Personal, Indoor and Mobile Radio Communications (PIMRC) 2017 to be held at Montreal, QC, Canada from 08-13 October 2017. A. Asghar, H. Farooq, A. Imran, "A Novel Load-Aware Cell Association for Simultaneous Network Capacity and User QoS Optimization in Emerging HetNets ", accepted in IEEE International Symposium on Personal, Indoor and Mobile Radio Communications (PIMRC) 2017 to be held at Montreal, QC, Canada from 08-13 October 2017. Yash Kumar, Hasan Farooq, Ali Imran, "Fault Prediction and Reliability Analysis in a Real Cellular Network" accepted in IWCMC 2017 Conference to be held june 26-30, 2017, Valencia, Spain. Oluwakayode Onireti, Ali Imran, Muhammad Ali Imran, "Coverage Analysis in the Uplink of mmWave Cellular Network" accepted in EuCNC to be held June 12-15, 2017 Oulu, Finland. Umair Hashmi, Arsalan Darbandi, Ali Imran, “Enabling Proactive Self-Healing by Data Mining Network Failure Logs”, accepted in 2017 International Conference on Computing, Networking and Communications (ICNC). Naim Bitar, Ali Imran, Hazem Refai, "A User Centric Self-Optimizing Grid-based approach for Antenna Steering Based on Call Detail Records”, Accepted in the IEEE Wireless Communications and Networking Conference (WCNC), 3-6 April 2016, Doha, Qatar. Akbari, Iman; Onireti, Oluwakayode; Imran, Muhammad Ali; Imran, Ali; Tafazolli, Rahim, "Effect of Inaccurate Position Estimation on Self-Organising Coverage Estimation in Cellular Networks," in Proceedings of 20th European Wireless Conference; pp.1,5, 14-16 May 2014. 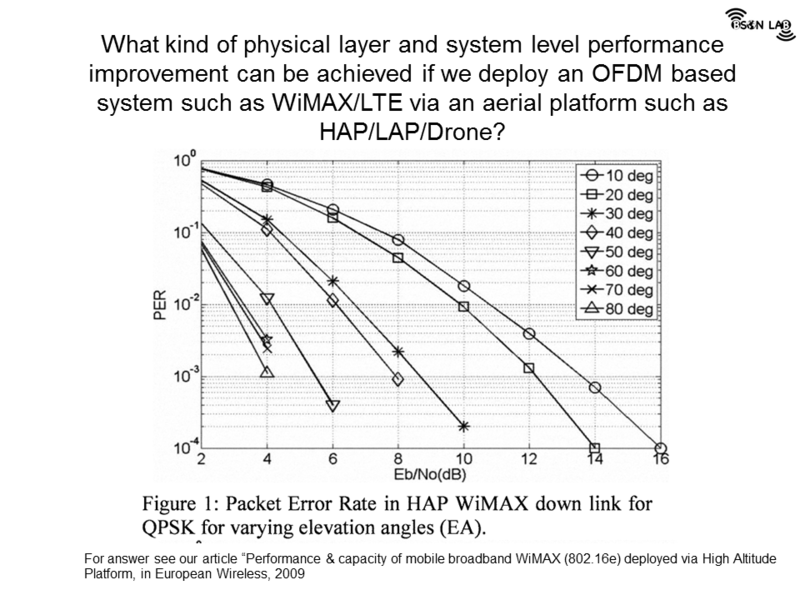 Mohamed, Abdelrahim; Onireti, Oluwakayode; Qi, Yinan; Imran, Ali; Imran, Muhammed; Tafazolli, Rahim, "Physical Layer Frame in Signalling-Data Separation Architecture: Overhead and Performance Evaluation," in Proceedings of 20th European Wireless Conference; pp.1,6, 14-16 May 2014. Yaacoub, Elias; Imran, Ali; Dawy, Zaher, "A generic simulation-based dimensioning approach for planning heterogeneous LTE cellular networks," in proceedings of 17th IEEE Mediterranean Electrotechnical Conference (MELECON’2014), pp.320-326, 13-16 April 2014. 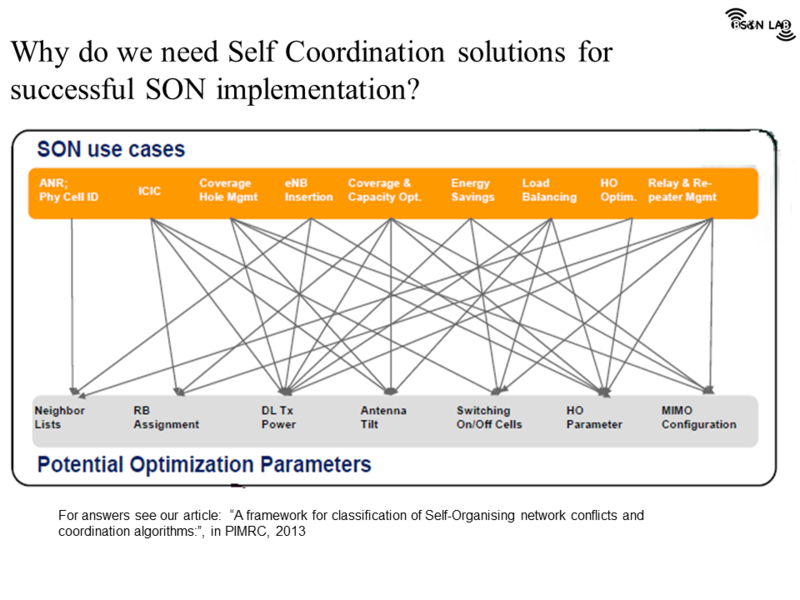 Lateef, Hafiz Yasar; Imran, Ali; Abu-Dayya, Adnan,, "A framework for classification of Self-Organising network conflicts and coordination algorithms," in proceedings 24th IEEE International Symposium on Personal, Indoor and Mobile Radio Communications (PIMRC’2013), pp.2898-2903, 8-11 Sept. 2013. Imran, A.; Yaacoub, E.; Dawy, Z.; Abu-Dayya, A., "On the capacity and spatial fairness trade-off in planning sectorization and frequency reuse," in proceedings of 3rd International Conference on Communications and Information Technology (ICCIT’2013), pp.406-410, 19-21 June 2013. Peyvandi, H.; Imran, A.; Imran, M.A. 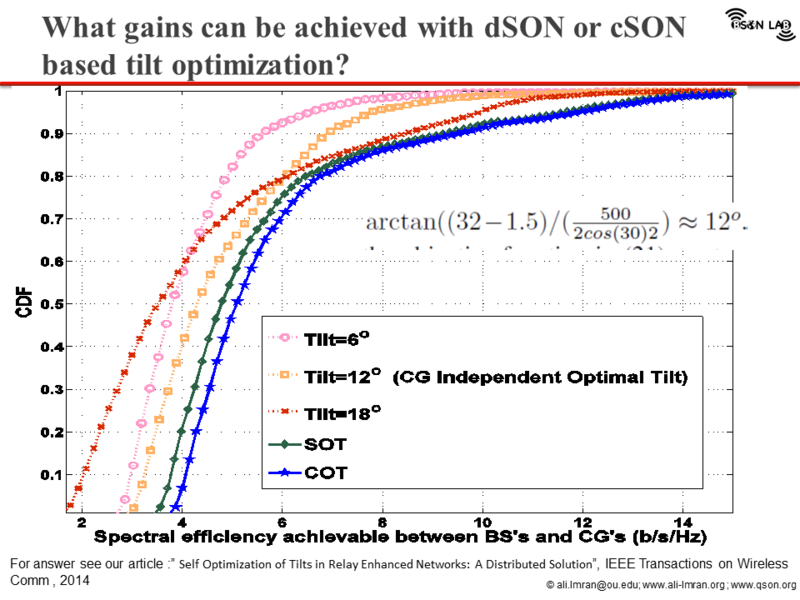 ; Tafazolli, R., "On Pareto-Koopmans efficiency for performance-driven optimisation in Self-Organising Networks," in proceedings of IET Intelligent Signal Processing Conference (ISP 2013), pp.1-6, 2-3 Dec. 2013. Imran, Muhammad Ali; Imran, Ali; Onireti, Oluwakayode, "Participatory sensing as an enabler for self-organization in future cellular networks", in proceedings of IOP Conference Series on Material Sciences and Engineering, 2013. doi:10.1088/1757-899X/51/1/012003. Kosta, C.; Imran, A.; Quddus, A.U. ; Tafazolli, R., "Flexible Soft Frequency Reuse Schemes for Heterogeneous Networks (Macrocell and Femtocell)," in proceedings IEEE 73rd Vehicular Technology Conference (VTC Spring 2011), pp.1-5, 15-18 May 2011. Imran, A.; Imran, M.A. ; Tafazolli, R; "A novel Self Organizing framework for adaptive Frequency Reuse and Deployment in future cellular networks," in proceedings 21st IEEE International Symposium on Personal, Indoor and Mobile Radio Communications (PIMRC’2010), pp.2354-2359, 26-30 Sept. 2010. Imran, A.; Imran, M.A. ; Tafazolli, R., "A new performance characterization framework for Deployment Architectures of next generation distributed cellular networks," in proceedings 21st IEEE International Symposium on Personal, Indoor and Mobile Radio Communications (PIMRC’2010), pp.2046-2051, 26-30 Sept. 2010. Imran, A; M. Shateri, R. Tafazolli, "On the comparison of performance, capacity and economics of terrestrial base station and high altitude platform based deployment of 4G,” in proceedings of 12th ACM International Conference on Modelling, Analysis and Simulation of Wireless and Mobile Systems, pp58-63, 26-30 Oct 2009. --Dr. Ali Imran to give the keynote in Shanghai, China at IEEE ICC 2019 workshop on Data Driven Intelligence for Networks and Systems (DDINS). --Congratulations to Ahmad Asghar for acceptance of paper titled "Outage Detection for Millimeter Wave Ultra-Dense HetNets in High Fading Environments" in IEEE ICC, 2019. --Congratulations to Hasan Farooq on acceptance of his research paper "AI empowered Smart User Association in LTE Relays HetNets" in IEEE ICC, 2019. 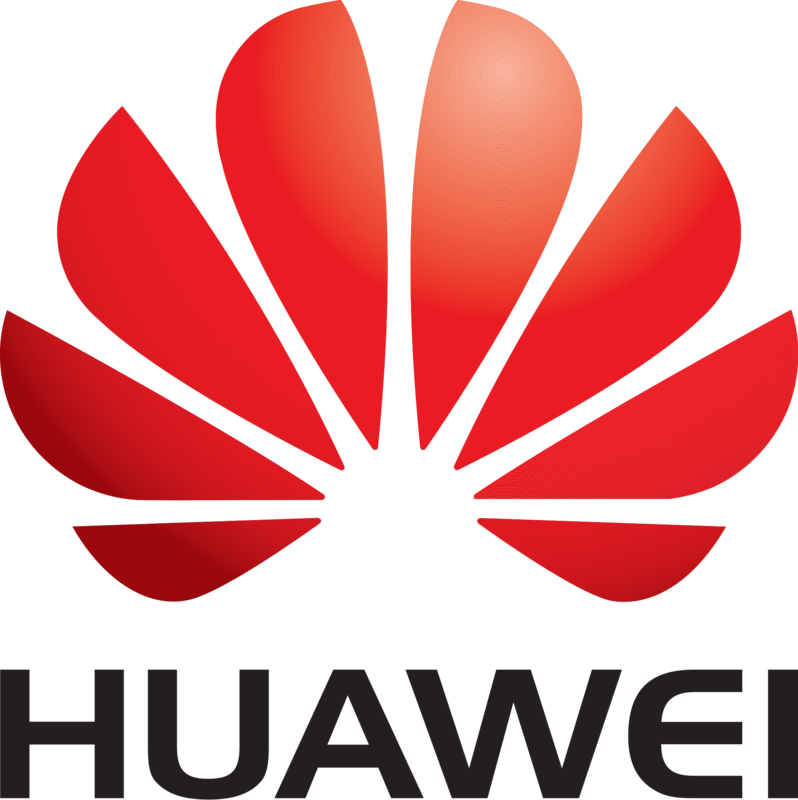 --Congratulations to Hasan Farooq and Hana on acceptance of their research paper "What Machine Learning Predictor Performs Best for Mobility Prediction in Cellular Networks?" in IEEE ICC, 2019. 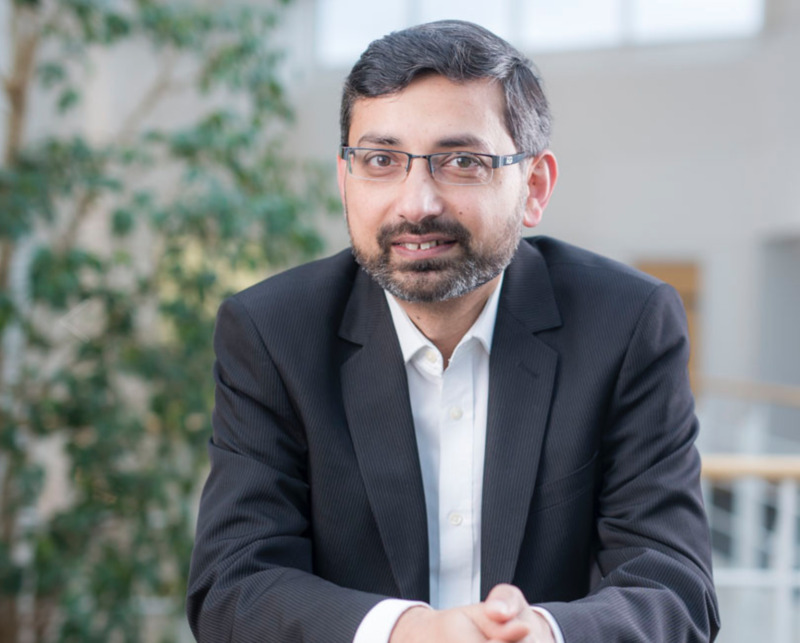 --Dr. Imran, to give a keynote titled "AI for Channel Characterization and Propagation Modelling" in international workshop on “AI for MARIE: are there New Research Opportunities?”, April 16th, 2019, Duisburg, Germany. --Congratulations to Haneya Qureshi for securing second position in poster competition in OU-Tulsa Research Forum. --Congratulations to Shruti for acceptance of the paper 'Which statistical distribution best characterizes modern cellular traffic and what factors could predict its spatio-temporal variability?,' in IEEE Communications Letters, March, 2019. --Congratulations to Haneya for acceptance of the paper 'Optimal bin width for autonomous coverage estimation using MDT reports in the presence of user positioning error,' in IEEE Communications Letters, February 2019. --Dr. Imran, to give an invited talk at RAN USA, Dec 3th . --Congratulations to Ahmad Asghar for successfully defending his PhD thesis. --Congratulations to Ahmad Asghar for getting job offer from Microsoft. --AI4Networks to present 4 conference papers in IEEE Globecom, Dubai. --Dr. Imran to give keynote at 12th international conference on open source system and technologies, Lahore, Pakistan. 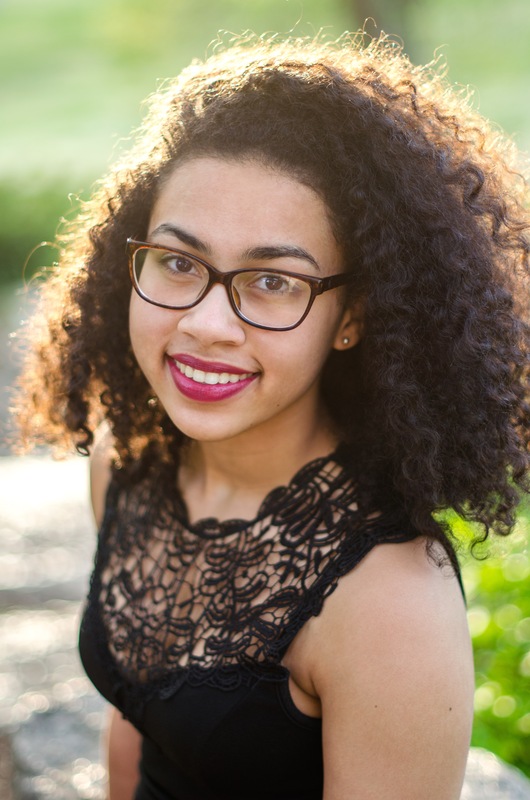 --Congratulations to Haneya for receiving OU-Tulsa scholarship for spring 2019 semester. 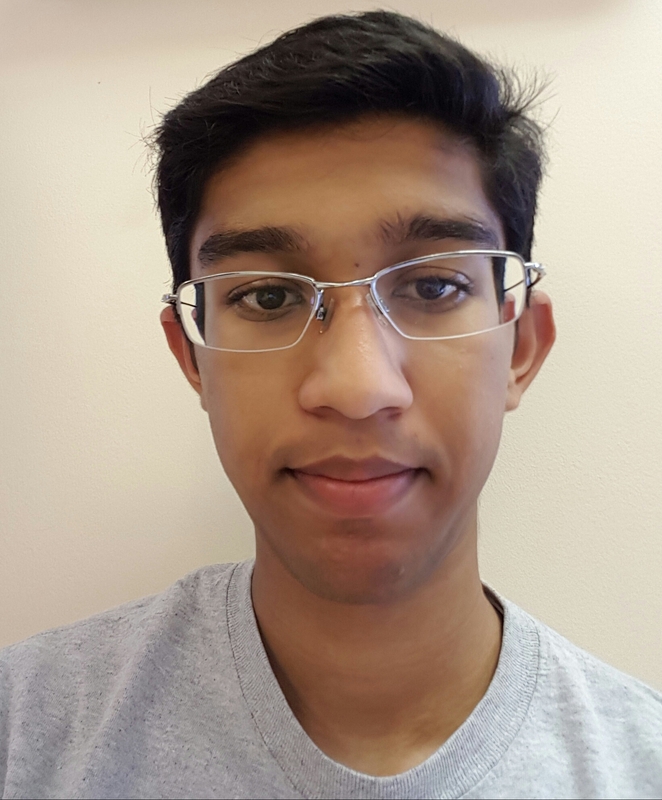 --Congratulations to Shrutifor receiving OU-Tulsa scholarship for spring 2019 semester. --Congratulations to Haneya Qureshi for acceptance of paper titled On the Trade-offs between Coverage Radius, Altitude and Beamwidth for Practical UAV Deployments in IEEE Transactions on Aerospace and Electronic Systems. --Congratulations to Hasan Farooq for successfully defending his PhD thesis. --AI4Networks team had a fun day out at Main Event, Tulsa and then celebrated Hasan's graduation at a local restaurant. For photos, click here. --Congrats Ahmad Asghar for being interviewed for Nokia Bell Labs podcast. Click here to listen. 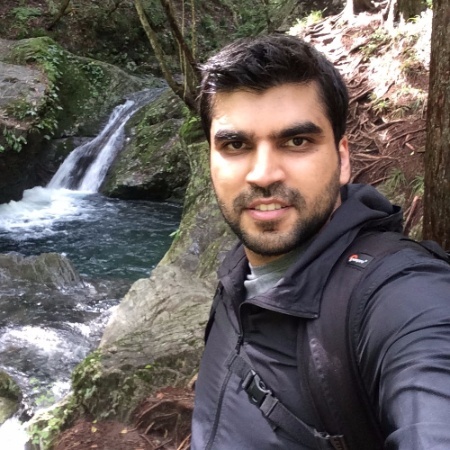 --Congratulations to Hasan Farooq for being awarded the Gallogly College Dissertation Excellence Award (DEA) and a reward of 5,000$.For photos, click here. 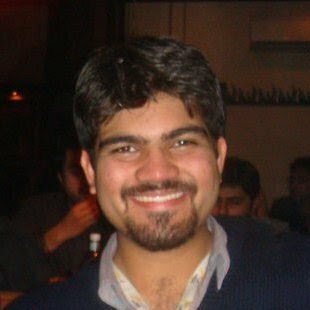 --Congratulations to Umair Hashmi for joining Nokia Bell Labs as a Machine Learning Wireless Coop. --Congratulations to Ben and Shruti for acceptance of their paper 'Generative Adversarial Learning for Machine Learning empowered Self Organizing 5G Networks' in IEEE International Conference on Computing, Networking and Communications (ICNC 2019), Hawaii, Feb. 2019. --Dr. Imran to give an invited talk at Summer school on “Intelligent Communications Network” hosted by LUMS, Lahore, Pakistan, Aug 6-9, 2018..
--Congratulations to Umair Hashmi for acceptance of paper titled Towards user QoE-Centric elastic cellular networks: A game theoretic framework for optimizing throughput and energy efficiency in IEEE International Symposium on Personal, Indoor and Mobile Radio Communications (PIMRC), 2018. --Congratulations to Umair for acceptance of paper titled User transmit power minimization through uplink resource allocation and user association in HetNets in IEEE Global Communications Conference: Green Communications Systems and Networks (Globecom 2018 GCSN), 2018. --Congratulations to Haneya Qureshi for acceptance of paper titled Towards Designing Systems with Large Number of Antennas for Range Extension in Ground-to-Air Communications in IEEE International Symposium on Personal, Indoor and Mobile Radio Communications (PIMRC), 2018. --Congratulations to Hasan Farooq for acceptance of paper titled Mobility Prediction based Autonomous Proactive Energy Saving (AURORA) Framework for Emerging Ultra-Dense Networks in IEEE Transactions on Green Communications and Networking, 2018. --Congratulations to Hassan Farooq for acceptance of paper titled Mobility Prediction empowered Proactive Energy Saving Framework for 5G Ultra-Dense HetNets in IEEE Global Communications Conference: Green Communications Systems and Networks (Globecom 2018 GCSN), 2018. --Congratulations to Usama Masood for acceptance of paper titled Deep learning based detection of sleeping cells in next generation cellular networks in IEEE Global Communications Conference: Communication QoS, Reliability and Modeling (Globecom2018 CQRM), Abu Dhabi, United Arab Emirates, Dec. 2018. --Dr. Ali to deliver a keynote at a national conference on AI for wireless hosted by A1 Telecom on 25th June, 2018. --AI4Networks Lab attended IEEE ICC 2018 conference in Kansas city. For photos, click here. --Congratulations to Ahmad Asghar and Hasan Farooq for acceptance of their paper “Concurrent Optimization of Coverage, Capacity and Load Balance in HetNets through Soft and Hard Cell Association Parameters” in IEEE Transactions on Vehicular Technology. --Dr. Imran to deliver a keynote at 5G North America, Austin, TX on 15th May, 2018. --Congratulations to Azar Taufique for successfully defending his PhD thesis. --Congratulations to Azar Taufique and Hassan Farooq for acceptance of their paper "Analytical Modelling for Mobility Signalling in Ultra-Dense HetNets" in IEEE Transactions on Vehicular Technology. --Dr. Imran to give keynote at T-Mobile Headquarter, Seattle, WA on 16th April, 2018. --Dr. Imran awarded The University of Oklahoma VPR award for outstanding international impact through research and creative work..
--Dr. Imran to deliver a keynote at ATT, Silicon Valley on 17th April, 2018. --Congratulations to Haneya Qureshi for securing first and second price in poster competition in OU-Tulsa Research Forum and IEEE Tulsa Section Poster contest respectively. --Congratulations to Azar and Asad for standing third in poster presentation in OU-Tulsa Research Forum. --Congratulations to Azar Taufique for being selected as youngest IEEE Comsoc technical instructor. --A journal paper on User-Centric Cloud RAN: An Analytical framework for Optimizing Area Spectral and Energy Efficiency accepted in IEEE Access. 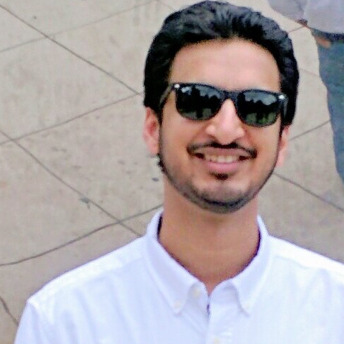 --Congratulations to Umair Hashmi for securing summer internship at Bell Labs HQ, New Jersey. --Congratulations to Umair Hashmi for acceptance of paper titled On the Efficiency tradeoffs in User-Centric Cloud RAN in IEEE International Conference on Communications (ICC), 2018. --Congratulations to Azar Taufique for getting job offers from Amazon, Sprint and Samsung. --Congratulations to Ahmad Asghar and Hasan Farooq for acceptance of their paper "Self-Healing in Emerging Cellular Networks: Review, Challenges and Research Directions" in IEEE Communication Surveys and Tutorials. 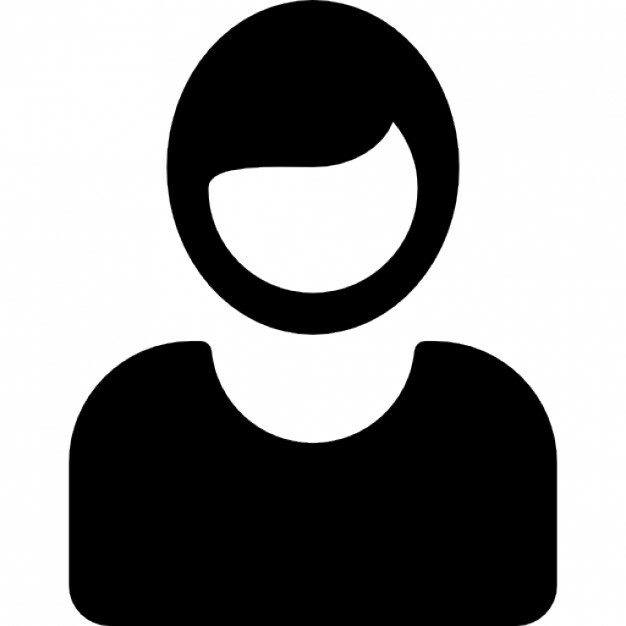 --Congratulations to Azar Taufique for being hired by Amazon as Program Manager. --Dr. Imran to give keynote at 11th international conference on open source system and technologies, Dec 18-20, Lahore, Pakistan. --Dr. Imran to give invited lecture series at ITU 2017, Lahore. The series is sponsored by HEC and ITU, Pakistan. --A journal paper on big data analytics based proactive energy efficiency solution accepted in Transactions on Mobile computing. --Dr. Imran, to give an invited talk at RAN USA, Dec 4th, Silicon Valley, USA . --A journal paper on mmWave uplink capacity and energy efficiency analysis accepted in IEEE Transaction on Vehicular Technology. --AI4Networks team member Hasan Farooq’s work won first prize in global competition for best solution to enable Green ICT held by IEEE. The competing received proposals proposal from 30+ countries. He received the award at IEEE Green ICT Summit held in Paris, France on 3rd October 2017. --AI4Networks labs receives $5,00,000 award from NSF on proactive mobility management in future multi-tier, multi-band ultra dense wireless networks. --Congratulations to Sinasi and Umair for acceptance of their paper in IEEE PIMRC 2017. --Congratulations to Ahmad and Hasan for acceptance of their paper in IEEE PIMRC 2017. --Dr. Imran to present a tutorial titled “LEAP for IoT” at IEEE PIMRC 2017 being held in Toronto. --Arsalan Darbandi successfully defended his MS thesis titled “LARGE-SCALE DATA PROCESSING FOR DETECTING ACTIVITY ZONES IN MILAN”. --Congratulations to Hasan Farooq for securing internship at Phazr. --Congratulations to Hasan Farooq for being selected to participate in IEEE ComSoc Summer School 2014 held at University of New Mexico. --Join us at OU-Tulsa Campus for an inspiring 5G Technology Lecture Series brought to you by AI4Networks Lab@OU. 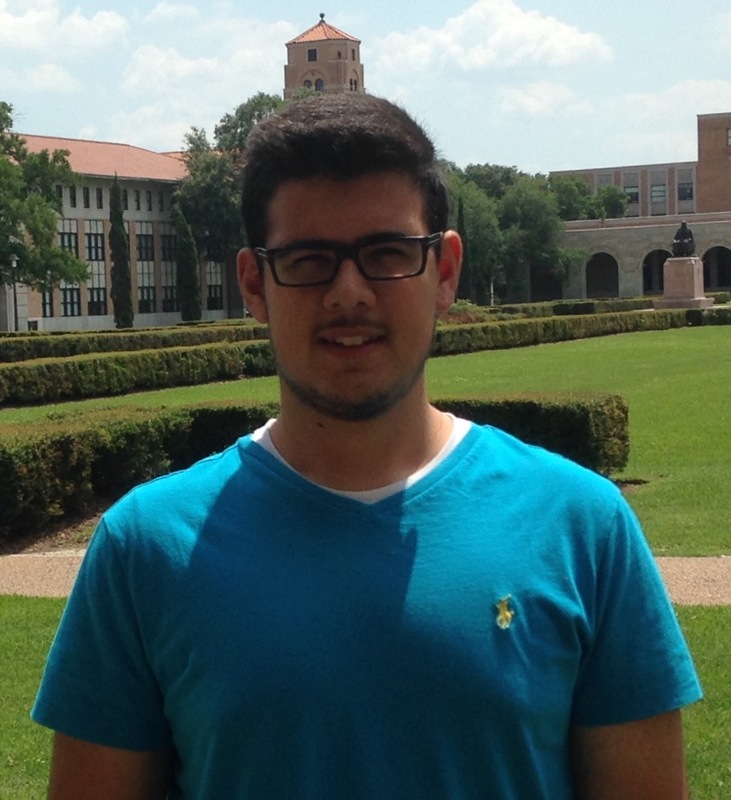 --Congratulations to Umair Hashmi for securing second internship at AT&T Big Data Foundry, Dallas. --Congratulations to Azar Taufique for the best presentation award at the TCOM Research Meeting. --Congratulations to Hassan Farooq for the best presentation award, and for scoring highest in the past decade at the TCOM Research Meeting. --Prof. Imran to present a tutorial titled “LEAP for IoT - Lean, Elastic, Agile and Proactive (LEAP) Wireless Networks for Enabling the Future IoT”, at the International Conference on Communications Technologies (ComTech-2017), Pakistan, 19-21 April, 2017. --Prof. Imran to deliver a Keynote titled "Big Data Empowered Self Organizing Networks, the game changing paradigm for enabling 5G", at the International Conference on Communications Technologies (ComTech-2017), Pakistan, 19-21 April, 2017. --AI4Networks Lab member Azar Taufique got 1st prize in two categories: Best Poster presentation and Video presentation. --Prof. Imran to present a tutorial titled “LEAP for IoT - Lean, Elastic, Agile and Proactive (LEAP) Wireless Networks for Enabling the Future IoT”, at 2017 IEEE ICC, Paris, 21-25 May, 2017. --AI4Networks team members Umair and Arsalan presented a paper titled “Enabling Proactive Self-Healing by Data Mining Network Failure Logs”at ICNC 2017 Technical Program. 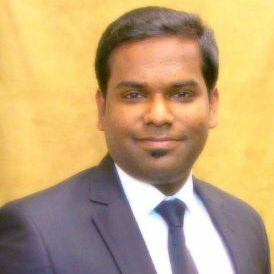 --Sachin Daware successfully defended his MS thesis titled “Big Data Analytics solution for Small Cell Deployment Using Machine Learning Techniques”. Prof. Imran to present a half day tutorial titled “CDSA and BSON: The Two Key Enablers of Lean, Elastic and Proactive Wireless Networks Needed for Future IoT”, at 2016 IEEE 3rd World Forum on Internet of Things, Washington DC, 12-14 Dec, 2016. --New research support of $500K for project titled “Designing Agile and Scalable Self-Healing Functionalities for Ultra Dense Future Cellular Networks” by National Science Foundation. --Four under grad and High School students joined the group as internees, as part of STEM outreach program at AI4Networks lab. --MD Salik Pervaiz successfully defended his MS thesis titled “Dynamic User-centric Spectral Efficiency Maximization by Optimizing Antenna Parameters”. --Invited talk at big data foundry AT&T Labs, Dallas. 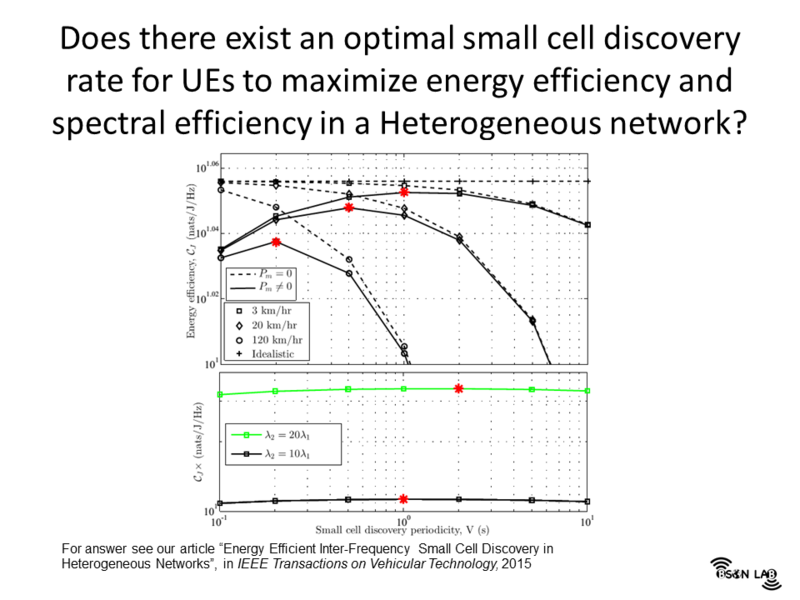 --New research support of $249K for project titled “Enabling ultra-dense future cellular networks” by National Science Foundation. 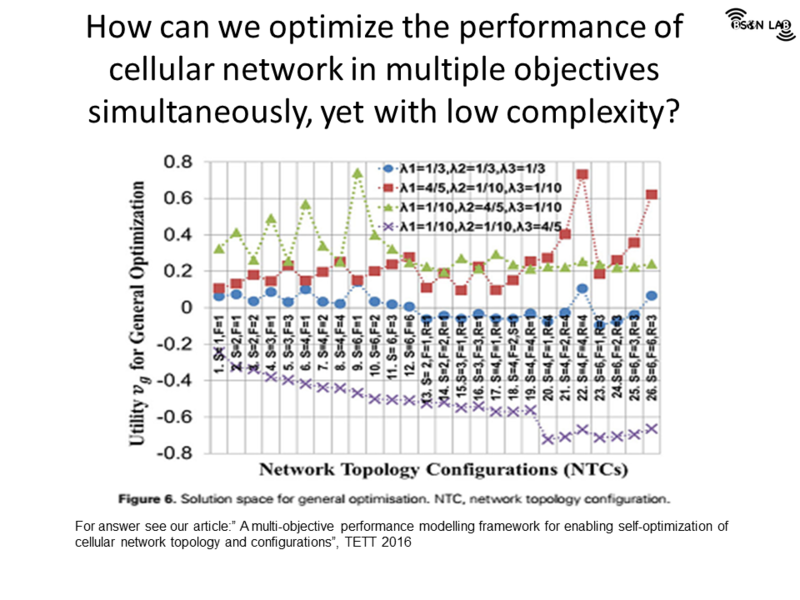 --New journal article “A multi-objective performance modelling framework for enabling self-optimization of cellular network topology and configurations” published. 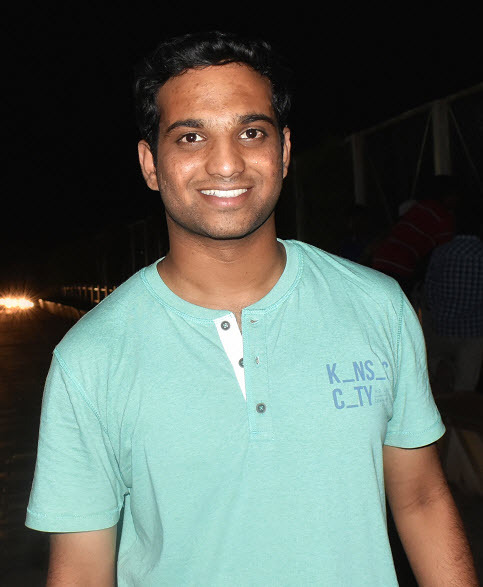 --Prasad Kuppurangan successfully defended his MS project titled “Small Cell Deployment for Next Generation Cellular Networks Using Control and Data Plane Separation Architecture”. --Invited talk at Booker T. Washington High School Tulsa, OK.
--New journal article “Control-Data Separation Architecture for Cellular Radio Access Networks: A Survey and Outlook” published. --Invited talk at RAN USA Industrial Forum, San Francisco, USA, 26-27-Jan-2016. 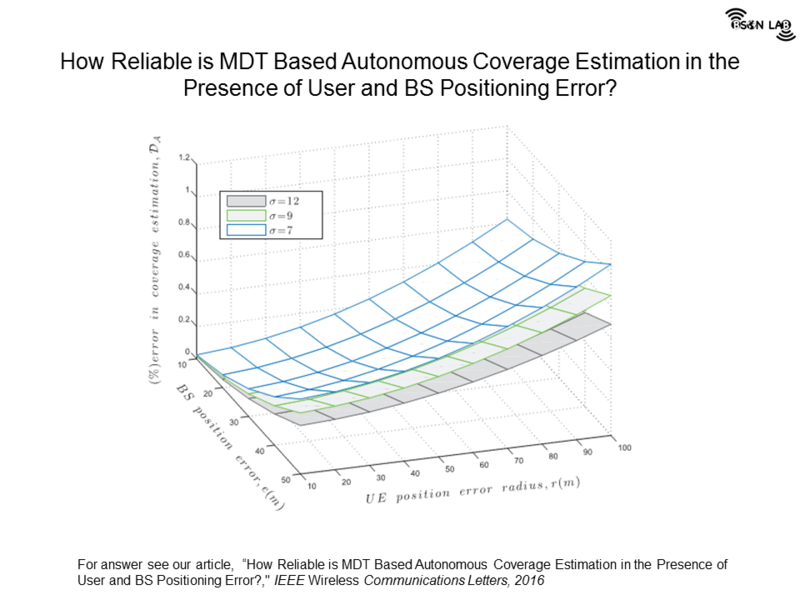 --New journal article “How Reliable is MDT Based Autonomous Coverage Estimation in the Presence of User and BS Positioning Error” published. --Congratulations to Hassan Farooq for the best presentation award at the TCOM Research Meeting. An online simulation demo of game theory based solution for user centric scheduling in cloud-RAN. 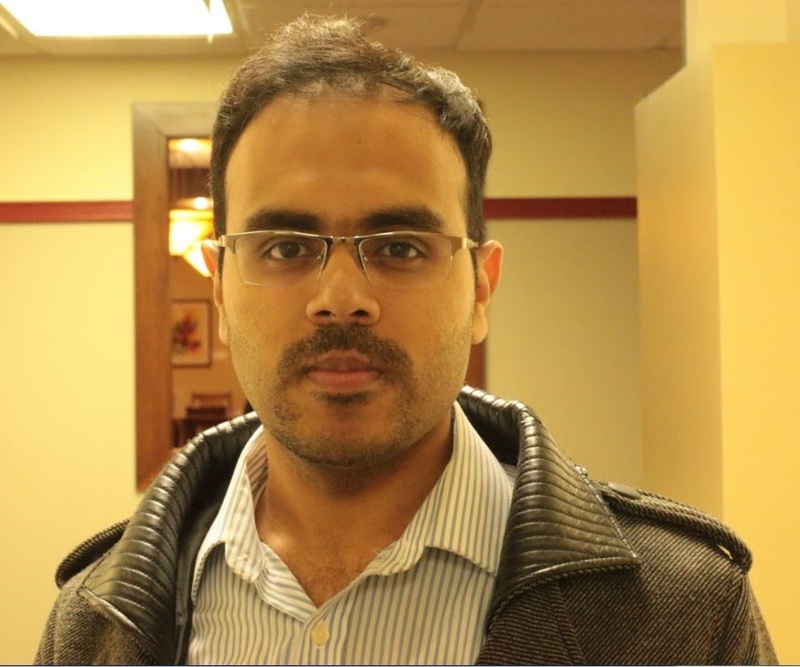 Dr. Ali Imran is an Assistant Professor in Telecommunications Engineering Program at the University of Oklahoma, USA. Currently he is leading a $1.045 million multinational research project on Self Organizing Wireless Cellular Networks (Qson). 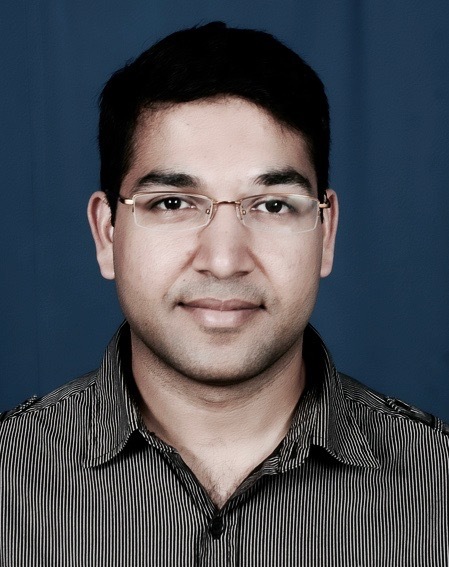 Before joining OU in Jan-2014, since Oct-2011 he has worked as a Research Scientist at QMIC, in Qatar. 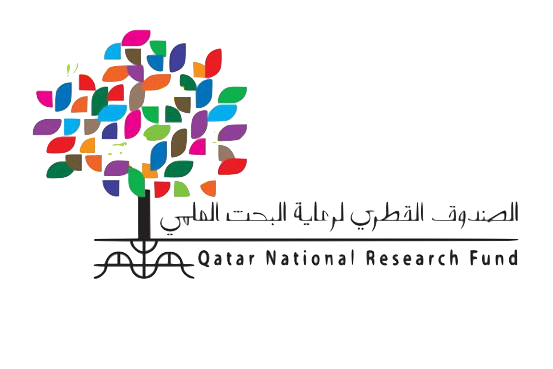 QMIC is a national innovation centre in Qatar, embodying a unique initiative by the state of Qatar to carry out multidisciplinary applied research with objective to address the regional needs and enable smarter living. In this position, he led the development of a wide range of innovative solutions by conducting research mainly in the disciplines of wireless communication, software development, and sensor networks. 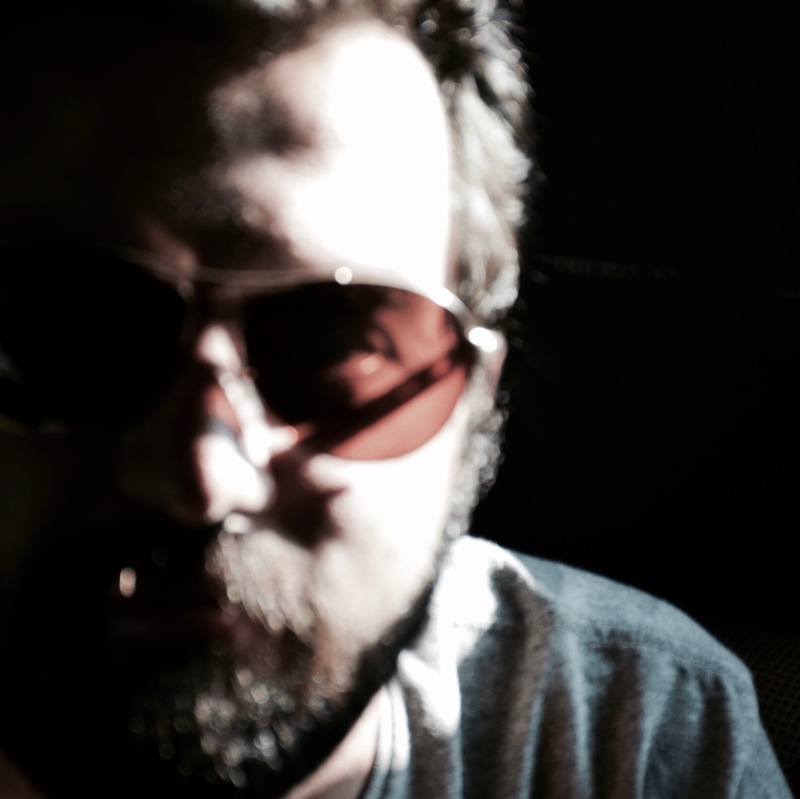 Hasan is a wireless communications researcher by profession, university faculty member by inclination, gadgets maniac and no-holds-barred technology enthusiast who was ushered into the AI world since his first interaction with Atari BASIC. His PhD research area is Big Data empowered Proactive Self-Organizing Networks focusing on Intelligent Proactive Self-Healing in HetNets utilizing dexterous combination of machine learning tools, classical optimization techniques, stochastic analysis and Data Analytics. 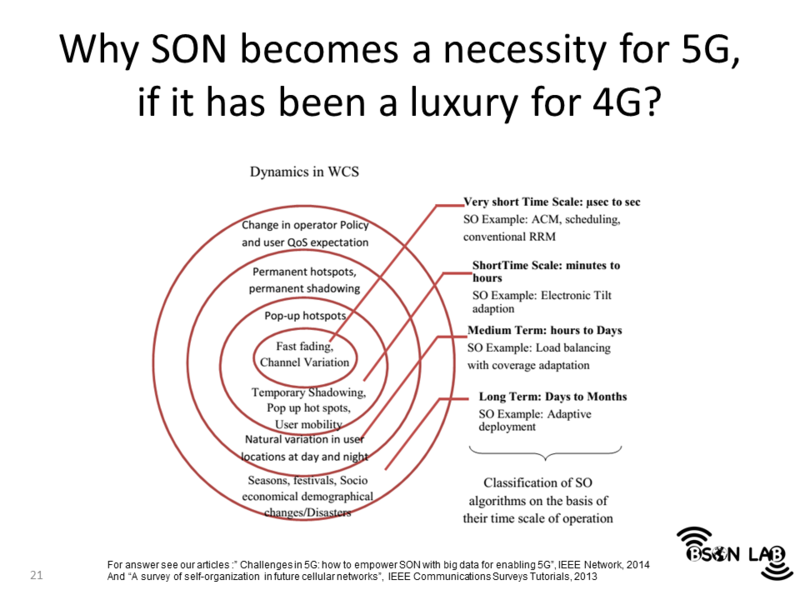 Under unified umbrella of Self-Healing, his research investigates Joint Load Balancing and Capacity & Coverage Optimization (LB-CCO) and utilizing Mobility, Failures and Performance Degradation Prediction for Proactive SON Use Cases. Apart from research, his other interests include cricket, movies, eating out and camping. Oh, and he has a hard time not buying all the overpriced gadget deals posted online. 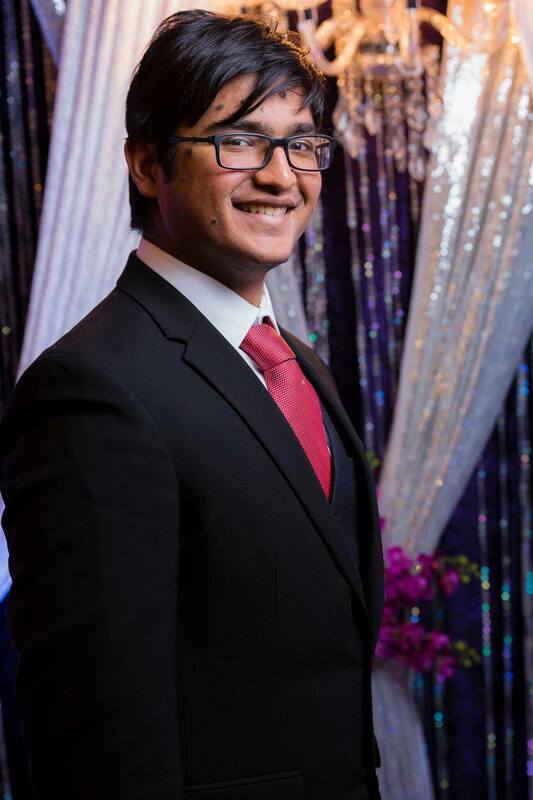 Umair Hashmi is a Fulbright Scholar pursuing PhD degree in Electrical and Computer Engineering as a Graduate Research Assistance in BSON Lab @OU since Fall 2015 under supervision of Dr. Ali Imran. His research focus at BSONLab@OU is on different aspects of 5th Generation wireless communication technologies such as Cloud RANs, user-centric architectures, game theoretic efficiency tradeoff in dense networks, application of machine learning and big data techniques in SON, mmWave networks and massive MIMO deployment architectures. Umair has authored or coauthored at least five technical papers in IEEE conferences. Umair is actively involved in students' activities at OU. He was nominated as the Vice President of the International Students' Association at OU-Tulsa in the 2015-16 academic year. While studying at OU, he has also served as a Big Data Intern at AT&T and student analyst at the Center for the Creation of Economic Wealth. In his free time, Umair likes to catch up on cricket and running around with his 2 year old son. Asad is professional Telecom Engineer with healthy industry experience on LTE/LTE-A. 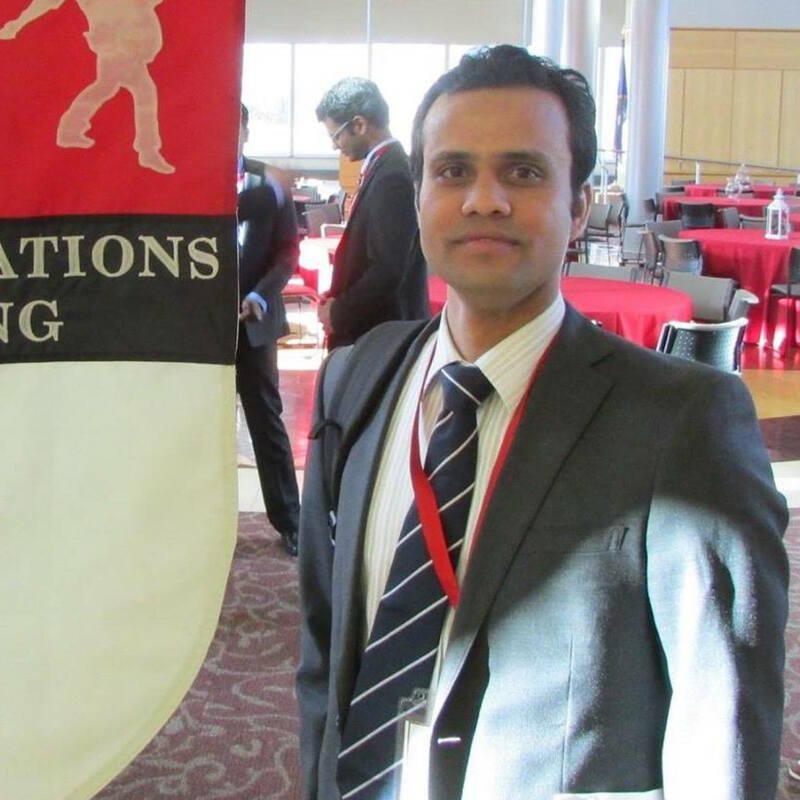 After working in Pakistan, South Korea and Japan as a LTE RF optimization and Self-Organizing Networks (SON) implementation consultant, he moved to University of Oklahoma to contribute in the field of research related to upcoming 5G technology. Currently he is working on mobility optimization for futuristic UDMN (Ultra-Dense, Multi-Tier, multi-Band cellular Network). He is an amateur photographer with an extreme passion for this art. Check it out! Haneya is pursuing wireless communication research out of genuine interest and passion. 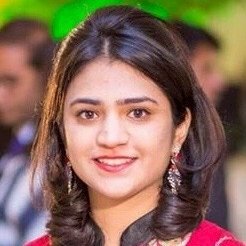 Right after completing her BS Electrical Engineering from LUMS, Pakistan, she joined the BSON Lab as a graduate research assistant. She has been actively engaged in the area of Massive MIMO, particularly addressing the issues of channel estimation and pilot contamination in time division duplex systems. Her broad research interests include solutions to tackle the RF spectrum ‘crunch’ problem and future 5G applications. She is working on not what is but on what can be done utilizing 5G. She believes that persistence and motivation are the keys to achieving whatever one desires in life. Aspiring to delve into the field of academia, she is ready to embrace every kind of challenge that crosses her path. Sabogu-Sumah Raymond was born in Ghana. He received the B.Sc. degree in Telecommunications Engineering (with Hons.) from the Kwame Nkrumah University of Science and Technology, Kumasi, Ghana, in 2013 and the master’s degree in Electronic Engineering (with Distinction) from Hanbat National University, Daejeon, South Korea. 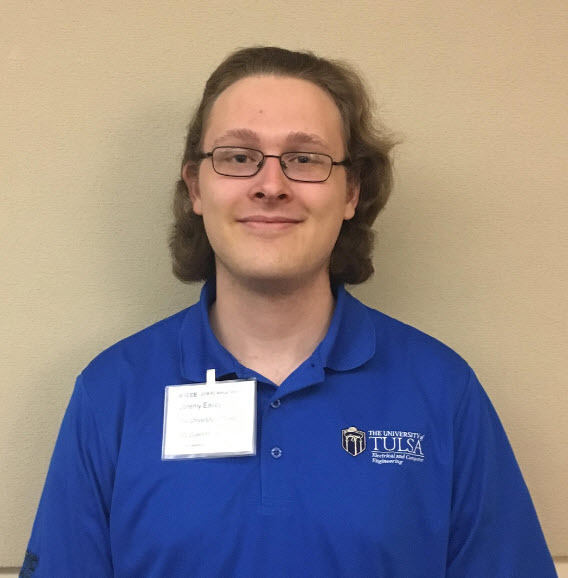 He is currently pursuing his PHD in Electrical and Computer Engineering at the University of Oklahoma-Tulsa with research interests in self-healing networks and Internet of Things through terrestrial and Aerial platforms. 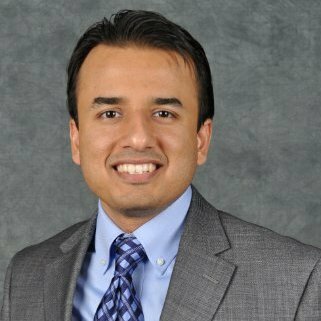 Usama Masood is currently doing his PhD in Electrical & Computer Engineering as a Graduate Research Assistant from The University of Oklahoma. He has a demonstrated history in the higher education industry as a Lecturer, Researcher and Developer in multiple institutions. His areas of research and interest include designing Big Data Driven solutions for Future Self Organizing Networks by fusing the domain “jargon” with artificial intelligence. He believes his contributions will be instrumental towards shaping the Fourth Industrial Revolution. 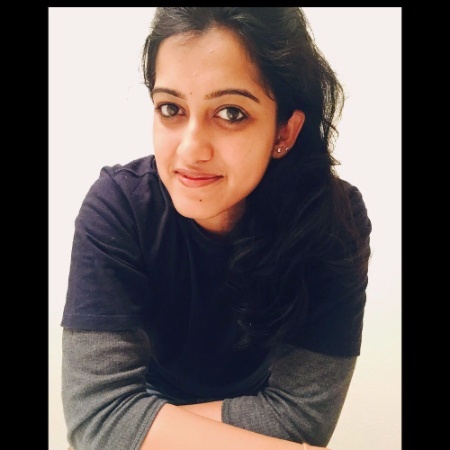 Shruti Bothe is currently pursuing her Masters in Telecommunication Engineering at University of Oklahoma-Tulsa .After completing her Undergrad in 2015 from University of Pune, she worked for Nokia Siemens Networks (under Vodafone India) and Avaya India. 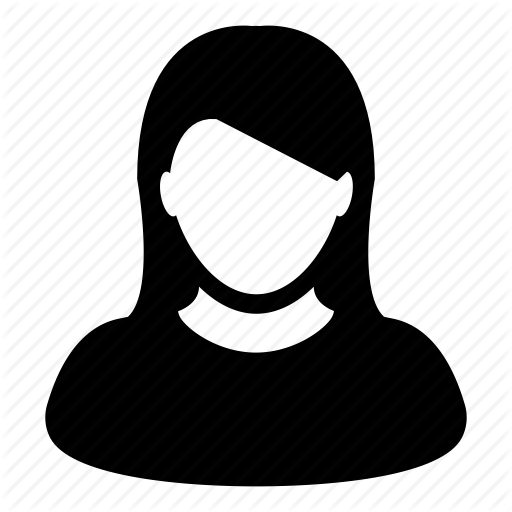 With interests in wireless networks, she plans to do her research in Self healing networks under the guidance of Dr.Imran. Marvin is currently taking up MS in Electrical and Computer Engineering at the University of Oklahoma-Tulsa. 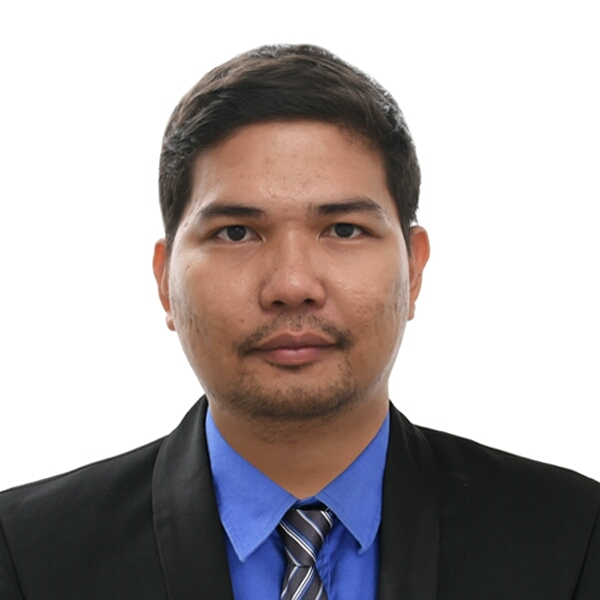 He finished his undergrad in Electronics and Communications Engineering at the Polytechnic University of the Philippines and worked as a Microwave Transmission Engineer in Huawei Technologies Philippines from 2011-2015. He then moved to Tokyo Japan to work as a Radio Network Performance Engineer focused on LTE improvement and optimization of key locations all over Japan like bullet trains, major train stations, highways and indoor stadium and arenas. Although he is already an industry-experienced Engineer in the field of telecommunications, he decided to pursue a higher degree to advance his knowledge and delved deeply on 5G self-organizing networks. Hello, I am Charles. I have finished my undergrad in Electronics and Communication Engineering from Anurag Engineering College, India. Worked with Keolis Hyderabad MRTS as a loco pilot for 10 months and then resigned to pursue my Masters with interests towards Big Data and 5G technologies. Looking forward to work with Dr. Imran and learn the technology. Apart from that, I love to learn different musical instruments and languages. Hi, I am Azar Taufique and I help people that want to learn 4G LTE understand where to start, what is important to learn and how to be able to make the big picture and all the puzzles fit together. Salik, a Nepalese by nationality, is a fan of global diversity. He possesses strong cross-cultural experience of visiting and staying in various countries on the course of his academic and professional pursuit. 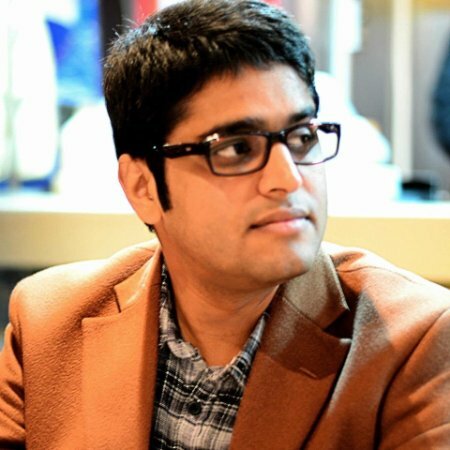 He received his Bachelors and Masters from Pakistan and Japan respectively before spending two years (2014-2016) at University of Oklahoma (OU) USA. During his stay at OU, he worked on the QSON project (Quality of Service Aware Self Organizing Network) in the domain of 'Big Data' and 'Caching' for cellular network. 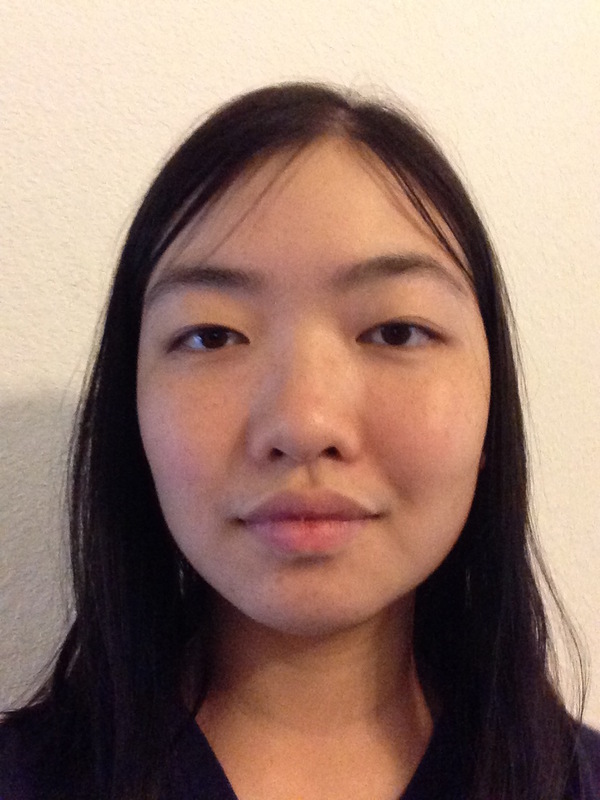 Sinasi is a master student in the department of Telecommunication Engineering at University of Oklahoma. 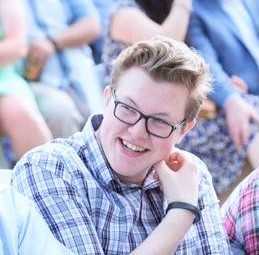 He graduated from the Ondokuz Mayis University in Turkey as a top student with honor degree. He has a scholarship from the Ministry of Education (in Turkey) to pursue his master and phd in the area of Telecommunication in USA. At the same time, he is a research assistant at the Karamanoglu Mehmetbey University in Turkey. He is currently studying on optimal user cell association on Massive MIMO systems. Based on this area, he is developing a MATLAB based system level simulator for HetNet. Mr. Kuppurangan has a Master’s Degree in Telecommunication Engineering. He is proficient in RF/Wireless Design, Analysis, Optimization and Enhancement. His responsibilities include leading the work of GSS partner wireless design engineers, overseeing frequency specifications, accuracy checks, solution analysis and access point/cell site deployment. This also includes link budget analysis, system dimensioning for coverage and capacity, traffic analysis, site identification, zoning support frequency planning, interference investigation and optimization support. 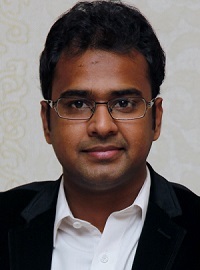 Prasad’s work focuses on Wi-Fi, Small Cell and LTE/CDMA projects. Arsalan is a second year master student, studying Electrical and Computer Engineering at University of Oklahoma. 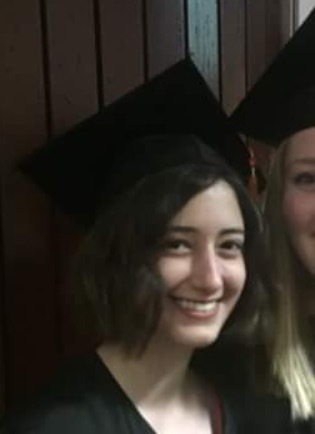 He got a B. S. degree in Computer Science from Iran.He is interested in research in areas of Machine Learning and Data mining and programming and analyzing data using C++ and Python languages. Hasan is a wireless communications researcher by profession, university faculty member by inclination, gadgets maniac and no-holds-barred technology enthusiast who was ushered into the AI world since his first interaction with Atari BASIC. 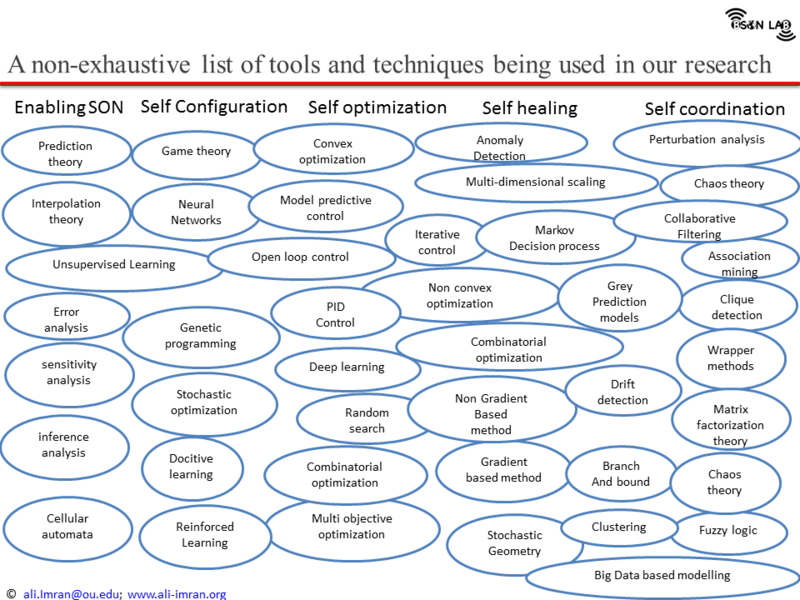 His PhD research area was Big Data empowered Proactive Self-Organizing Networks focusing on Intelligent Proactive Self-Healing in HetNets utilizing dexterous combination of machine learning tools, classical optimization techniques, stochastic analysis and Data Analytics. 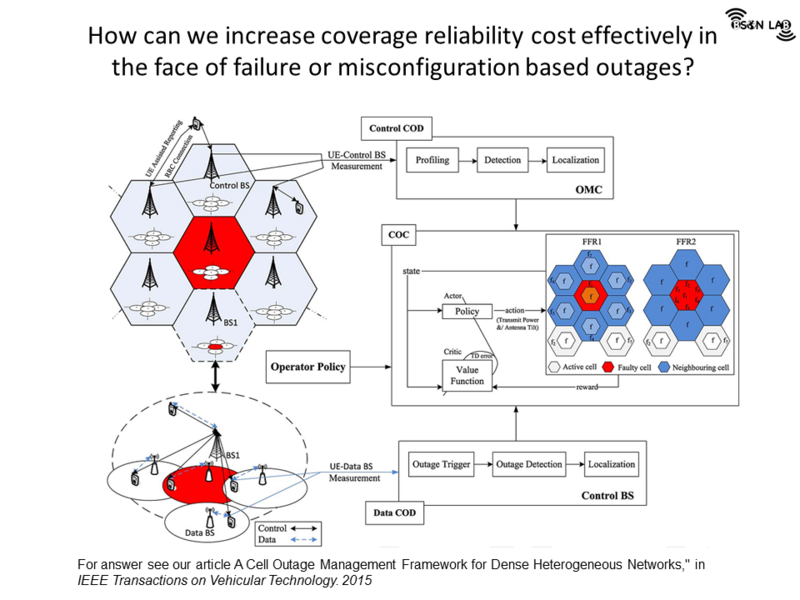 Under unified umbrella of Self-Healing, his research investigates Joint Load Balancing and Capacity & Coverage Optimization (LB-CCO) and utilizing Mobility, Failures and Performance Degradation Prediction for Proactive SON Use Cases. Apart from research, his other interests include cricket, movies, eating out and camping. Oh, and he has a hard time not buying all the overpriced gadget deals posted online. He is a professional RF Engineer with research interests in machine learning, self-organizing networks and development of smart network optimization solutions. He has worked on multiple 3GPP standard based telecommunication networks operating on GSM, UMTS and LTE technologies. He has developed multiple algorithms, including ad-hoc frequency planning and CCO & Load Balancing algorithms, to optimize the performance of telecommunication networks which are currently in use at network operator level or under consideration at vendor level. 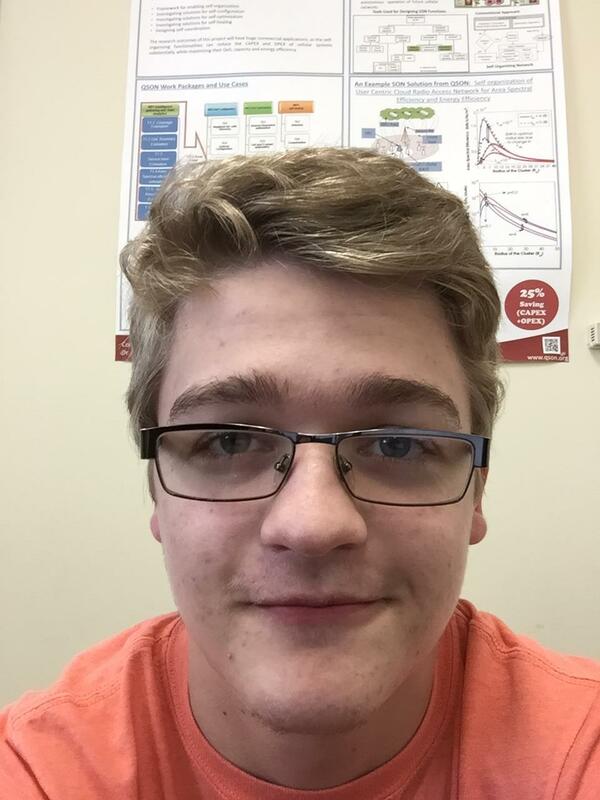 In its effort to promote STEM education in youth and to serve the local community, AI4networks Lab recruits outstanding local high school students as interns in the lab on a 4 to 12-week internship every year. Interns are assigned short research projects designed to suit interns’ interest and skill level. In addition to being closely guided by Prof. Ali Imran, on day to day basis each intern works closely with at least one senior Ph.D. researcher in AI4Networks lab, who mentors the intern throughout his/her tenure at the AI4Networks lab. Such close interaction with some of the smartest people working on the topic of internship project facilitates quick learning and successful completion of the project. The whole internship experience is closely supervised by lab director Prof. Ali Imran. The aim of this outreach program is to expose students to STEM career pathways in general and telecommunications engineering and its applications, and future prospects in real life in particular. The projects are designed to inspire interest within the participants for exploring and pursuing STEM careers and research in their future professional life. In spite of its short duration, this exciting opportunity is bound to provide interns a lot of valuable and rich exposure to future of wireless communications, while working in a multicultural environment that features international and national industrial and academic collaborations. Booker T. Washington High School, Selected at the University of Tulsa. Booker T. Washington High School, Selected at the University of Oklahoma. Booker T. Washington High School, Selected at Rice University. Booker T. Washington High School. If you are a high school or undergraduate student with the strong academic track record in math, physics, or computer science, and this opportunity sounds interesting to you then send your resume to AI4Networks lab director Dr. Ali Imran at ali dot imran at ou.edu with subject title “AI4Networks Lab internships".